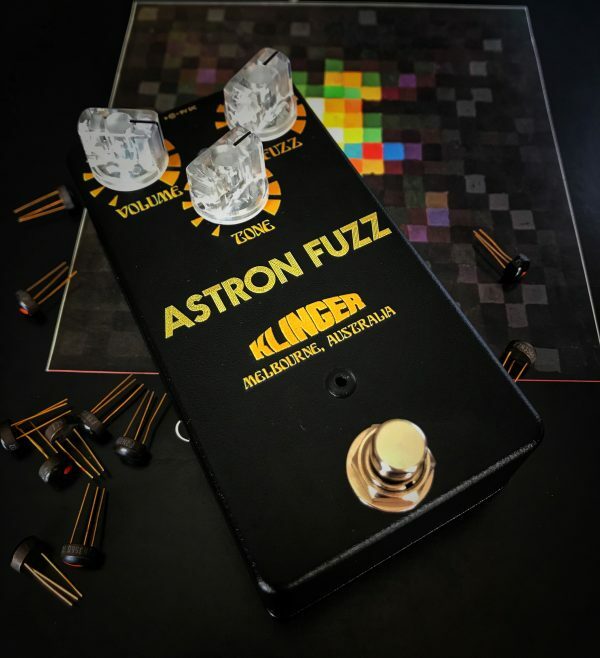 This is the Astron Fuzz. Based on the Astro tone Fuzz from the late 60’s. 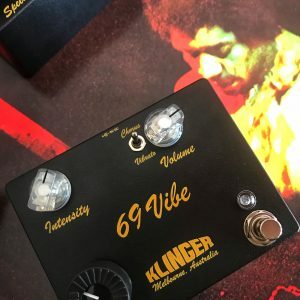 This pedal rides the lines between vintage overdrive and fuzz. Never over the top on its own but when added to a Slightly driven tube amp it really is a tone to behold. 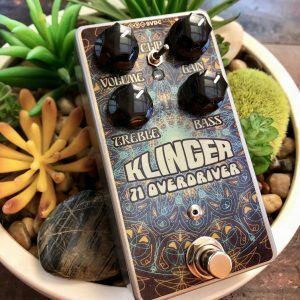 This pedal uses the original Fairchild transistors found in the vintage unit. The Vintage epoxy large dot 2n3566 adds the mojo to the sound plus a few small mods to thicken the bottom end when the tone is rolled back. 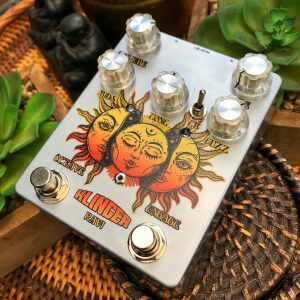 For the Fuzz lover that likes clarity and bite this is the tone. I’m only doing 10 of these so grab one while you can. Highest quality components matching and construction. Fast action highest quality true bypass foot switch. Hey I was passed on your details via a great friend of mine Ishan Cooper who highly recommends your pedals. I’m basically wanting to start collencting pedals and I’m after a fuzz that creates that classic/vintage distortion. 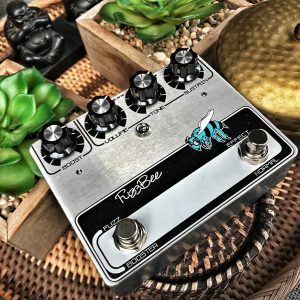 Is there any way to come and hear this pedal? I’m based inn melbourne. Let me know if that’s a possibility? Thanks for sending me a message. I’m going to do a bunch of demos this week to give some more insight into some of the sounds these pedals can make. Hopefully it can help. If you have more questions please email me at shaun@shaunklinger.com.au and I’ll be happy to help.